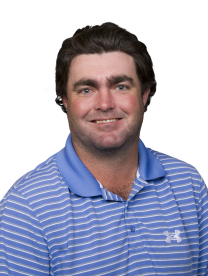 STEVEN BOWDITCH IS AUSTRALIAN, BUT TEXAS is his adopted home and it's working out pretty well for him. Bowditch lives in Dallas, he got married at the TPC Four Seasons Las Colinas where they play the AT&T Byron Nelson Championship, and yesterday he won the Byron Nelson for his second PGA Tour title. His first victory? That was at the Valero Texas Open. That's a whole lot of Texas, pardner. Bowditch was only the fourth player to win the Byron Nelson wire-to-wire, opening with a 62 and finishing with a 64 for a 72-hole total of 259 and a four-shot winning margin. He carded 27 birdies for the week. If you watched any of the final round, you might have thought Bowditch looked cool under fire, playing in the final group with Dustin Johnson, making birdies when he needed them, getting up and down for par and sinking several knee-knockers along the way. But Bowditch, wearing red over black a la Tiger Woods, was far from comfortable on his way to the clubhouse. "I wasn't really at ease. I was more like a duck on a pond," he said. "My insides were moving a mile a minute." As D.J. Piehowski wrote at PGATour.com, no one was thinking Bowditch coming into the week. Not even Bowditch. The 31-year-old tour player had missed nine of 13 cuts since mid January and hadn't recorded a top 10 finish since the Frys.com Open last year, or 231 days ago. "It's basically the way my career has been my whole life," Bowditch said. "You know, I guess when it's good, it's good, and when it's not, I'm just trying to hang on and make some cuts." That also seems to sum up golf.